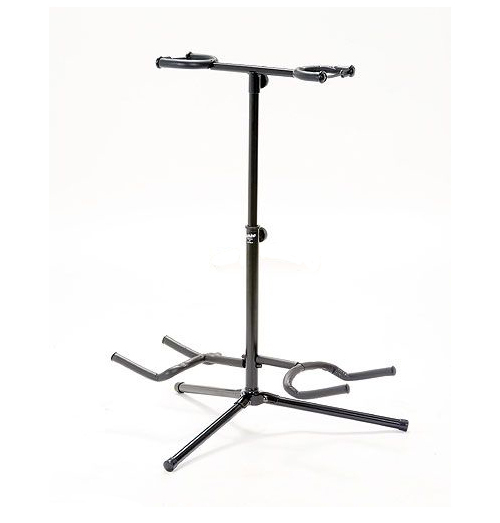 Double Metal guitar stand with neck cradle. Adjustable from 63-82 cm. Available in black finishes. Take care of your guitar both at home and on stage with one of our awesome guitar stands from Ashton, Ibanez and Ultimate Support. They are available in the standard tripod style with support for the neck and the A frame style.